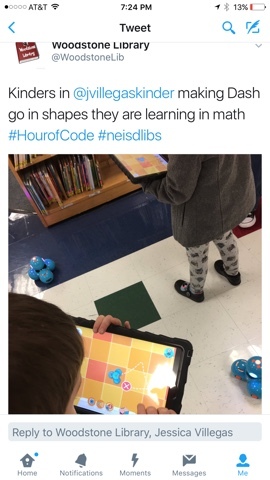 My kinder students have seen the "big kids" using Dash in the library and they keep asking when they will get to play with it. 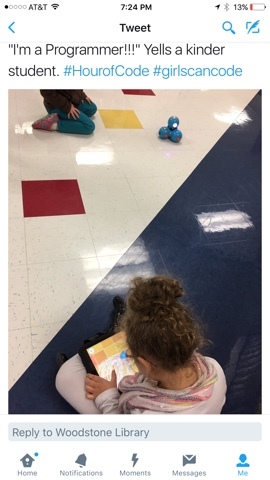 I talked with the kidner teachers and we decided that during December's Hour of Code would be a good time to introduce Dash to the students. We had school for three weeks between our Thanksgiving and Winter breaks so I decided to do a progessive introduction for them. We started the first week using the Kodable app on the iPad. 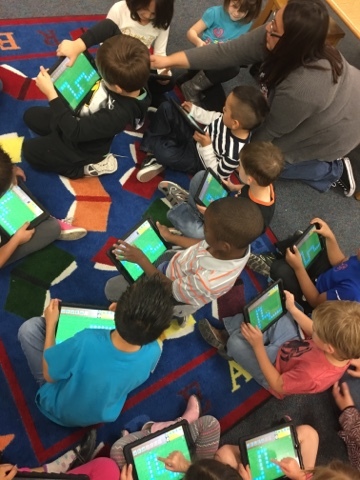 The second time they came I introduced them to Dash and the Wonder Path app where students could make Dash follow a path they traced on the ipad with their fingers. They had such a blast with this. 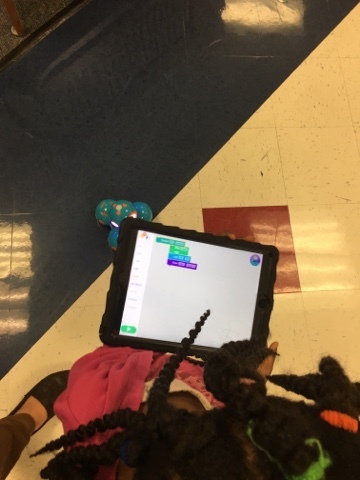 The third week, we tried using the Wonder Blockly app. I showed them how they could use the words to make dash do different things and limited them to the Movement, Animation and Sound commands since most are nonreaders. This was by far the most challenging for them because of the words, but they still enjoyed it.They loved finding new noises and animations for Dash. Their favorite was the burping sound and the kissing animation.